The engineering sector and in nearly every industry, is saturated with complex, large-scale projects which demand high precision and design software solutions even before the project development starts. The concept of CAD is quite easy and really helps any designer to visualize what needs to be focused on, however, with the growing intricacy of engineering projects, this means that today’s engineers, designers etc… face the need to design, test and prepare for manufacture while managing huge amounts of data and with limited time. With precise attention to detail, they need to deliver a final product that is dimensionally accurate and layered in an accurate model with all the necessary aspects required – for a successful design. 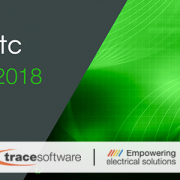 Our electrical CAD software elecworks™ has been developed to support the simulation, validation, and optimization of designs. Over the years there has been growing end-customer demand, for new and advanced products that need to be brought to market more quickly, in a highly competitive global market that already has challenges with strict regulations. When electrical CAD is used for engineering projects, it is often referred to as CAE (Computer Aided Engineering). CAE software includes typical CAD drafting tools, but may also encompass computer-aided analysis (CAA), computer-integrated manufacturing (CIM), computer-aided manufacturing (CAM), material requirements planning (MRP), and computer-aided planning (CAP). CAD software programs are used broadly in lots of industries, including vehicle manufacture, ship building, construction, manufacturing of all types. 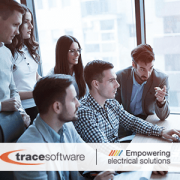 Our elecworks™ is an electrical CAD system designed for professionals in engineering. The software is based on a digital model representative database installation or machine. This database allows to work on different views, depending on project needs, while ensuring the integrity of project data. It also allows the simultaneous collaborative work on the same project. 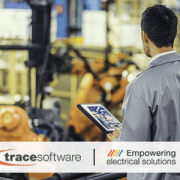 Auto-routing technology provides highly simplified automatic routing of wires, cables, and harnesses from within a 3D CAD model. Detailed routing information is available instantly to all project user. Electrical schematics design, PLC, terminal strips, reports, cabinet layout. Engineering industries, especially mechanized engineering firms, use CAD in many ways. Beginning from making engineering sketches to 2D/3Dmodeling, CAD can be used in a lot of the production process. 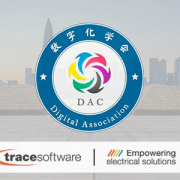 Modern day electrical CAD software replaces the tedious efforts of manual drafting with an automated process – electrical CAD software is an important tool which enables engineers to virtually see the product, analyze it and make corrections if and when required. CAD software allows engineers and others to have a full idea of the product and its physical characteristics long before production starts. 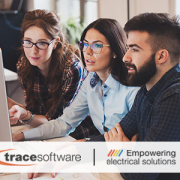 “Trace Software´s solutions, especially elecworks™, have become more innovative each and every year with the introduction of the latest software versions – we constantly meet our customer’s business needs…” said Dr. Pedro Puig, CEO of Trace Software International. 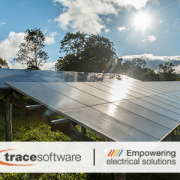 Trace Software´s electrical CAD software also enables for objects to may be seen from the any position. The word “CAD” is the short form of Computer-Aided design. The design which is made with the help of computers is called CAD. In the 20th century, we used to make the designs with the help of pencil and drafter on a paper sheet. But in the modern age of the 21st century, most people use a CAD Design software for making designs. is used in several industries starting from mechanical, electrical, civil, architectural, structural etc. Before deciding the best CAD design software, some parameters are checked. Let’s analyze the factors that are considered. 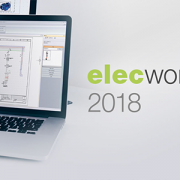 elecworks™ 2018 : new integration with Windchill, greater level of customization... How can I reuse 2D cabinet layout drawings?